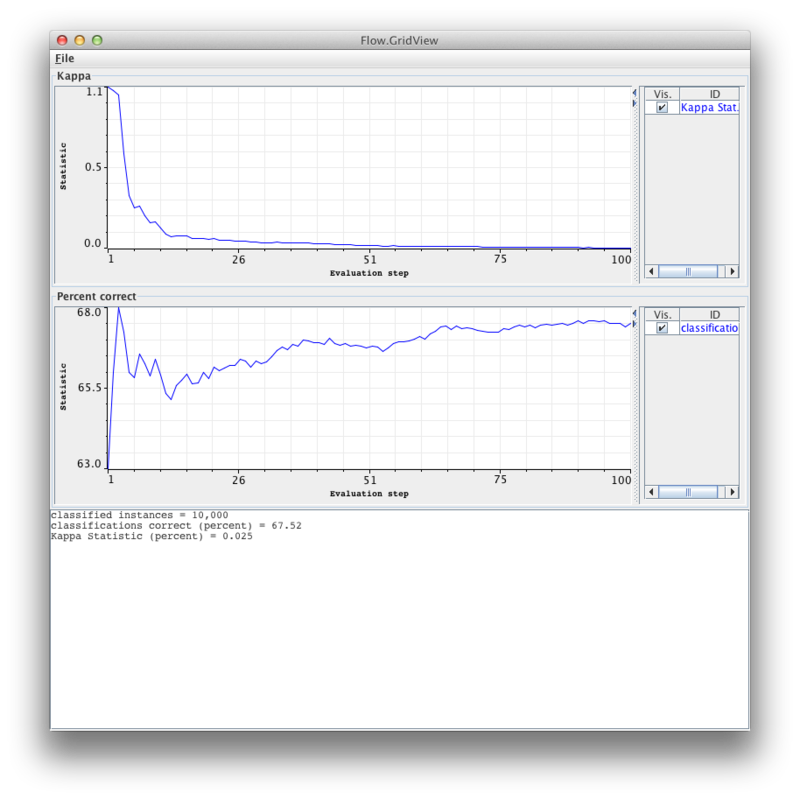 MOA and WEKA are powerful tools to perform data mining analysis tasks. Usually, in real applications and professional settings, the data mining processes are complex and consist of several steps. These steps can be seen as a workflow. 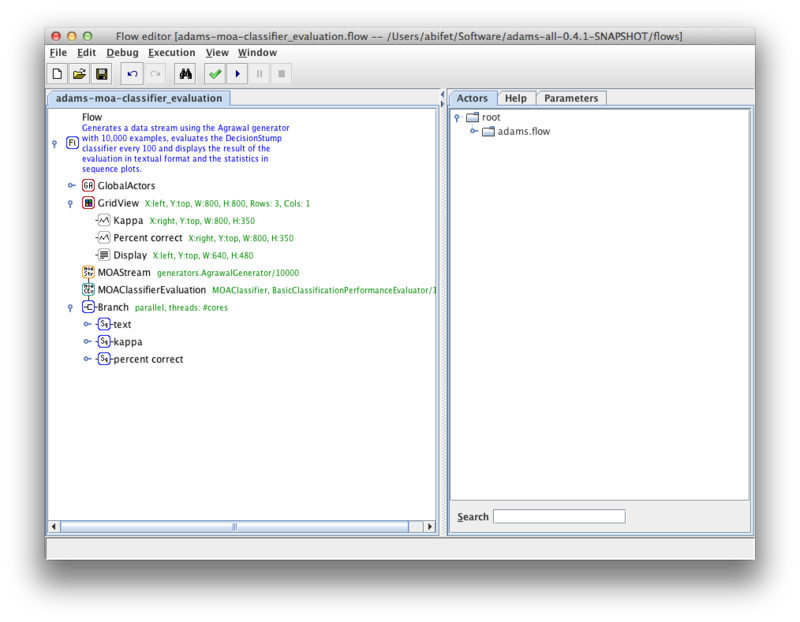 Instead of implementing a program in JAVA, a professional data miner will build a solution using a workflow, so that it will be much easier to maintain for non-programmer users. The Advanced Data mining And Machine learning System (ADAMS) is a novel, flexible workflow engine aimed at quickly building and maintaining real-world, complex knowledge workflows. 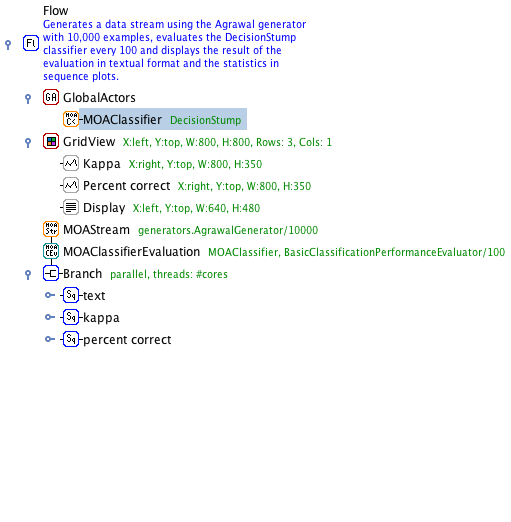 This figure shows ADAMS Flow editor and the adams-moa-classifier-evaluation flow. For more information, take a look at the following tutorial: Tutorial 4.